Anvil Cottage in Gatcombe, near Blakeney, Forest of Dean sleeps 4 people. 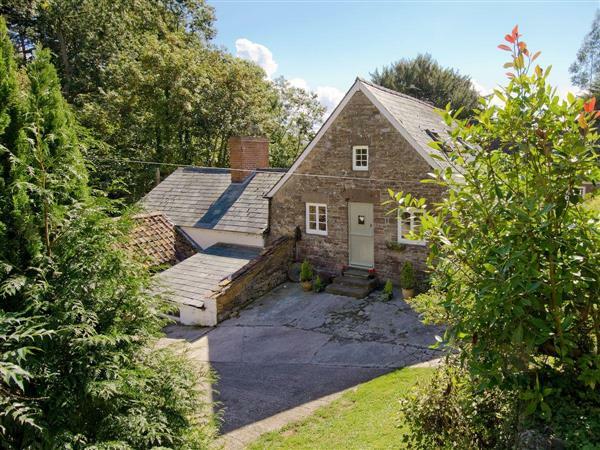 Nestling in the historic hamlet of Gatcombe with Sir Francis Drake’s house almost opposite, is this charming, comfortable and newly converted cottage, attached to an old cider mill next to the owners home. Gatcombe sides on to the River Severn and is on the edge of the Royal Forest of Dean. For those who enjoy walking there are fabulous walks in the forest or along the Severn Way that runs close to the holiday cottage. Fishing, cycling and canoeing locally. Cheltenham, the Cotswolds, Tewkesbury and Wales within an hours drive. Shop and pub 3 miles. Ground floor: Living/dining room with beams. Kitchen. 1 twin bedroom. Bathroom with shower over bath and toilet. Open tread stairs to first floor: 1 double (5ft) bedroom with beams. Electric woodburner in living room included. Oil central heating, electric, bed linen and towels included.Cot on request. Electric cooker. Microwave. Washing machine. Tumble dryer. Raised garden and furniture. Parking (1-2 cars). No smoking please. Holidays at Anvil Cottage run from Saturday to Saturday. Anvil Cottage is in Gloucestershire; should you be on the lookout for a special offer, you can find all the special offers in Gloucestershire. It's always worth checking to see what is on offer at the moment. Do you want to holiday near Anvil Cottage (17105), you can see other cottages within 25 miles of Anvil Cottage; have a look to find your perfect holiday location.